Two Syrian girls, aged 15 and 16, were punched in the face Friday afternoon in Berlin by an unidentified man after he yelled anti-foreigner slurs at them, dpa reports. Another girl of unknown nationality was assaulted in a separate incident the same day. Berlin police are investigating two separate assaults on foreigners, which are believed to have been motivated by anti-immigrant hatred. An unknown man punched two Syrian teenage girls several times on Friday afternoon. The assault on the two girls occurred in Berlin's eastern Marzahn district. The man ran away before he could be caught by police and the girls were treated in the hospital for their injuries. A police statement said the man allegedly "insulted both girls with anti-foreigner comments" before attacking them, according to AFP. 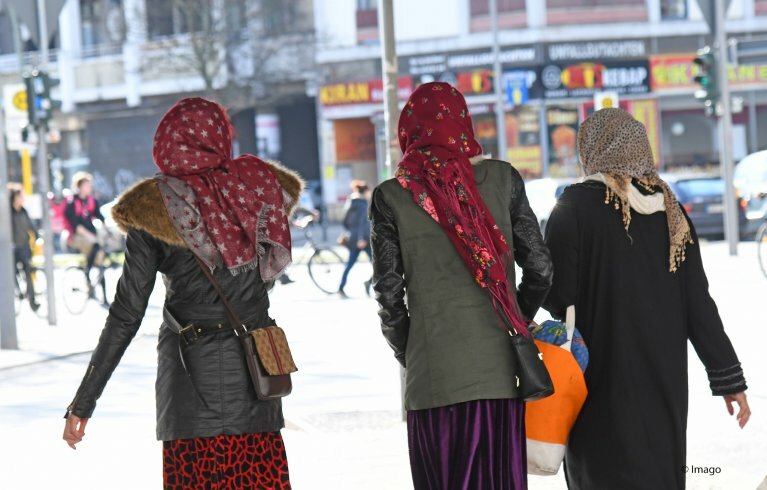 Later that day, an unidentified woman allegedly attempted to pull the headscarf off of a 12-year-old girl, pulling her and saying xenophobic statements. The incident occurred in the Neukölln district. The woman fled the scene before police arrived. The perpetrator also allegedly threatened the girl with pepper spray "and tried several times to stab her with a syringe that appeared filled with blood," according to a police statement that AFP described. The victim suffered minor injuries. The girl's nationality was not identified. Another incident occurred involving someone's perceived nationality. A small group of adolescent boys asked a 12-year-old if he was a foreigner. The group of boys then held the victim while an attacker punched him in the face. The victim was a German citizen. Germany has been polarized by the migrant and refugee influx since 2015. More than 1 million asylum seekers entered the country during 2015-2016. The influx fueled the rise of far-right, anti-immigration Alternative für Deutschland party (Alternative for Germany or AfD). There have been several instances of crimes involving migrants and refugees that have sparked protests in recent years.